This street dog that I encountered in the tiny town of La Aduana in Sonora, Mexico on a trip there several years ago has always been one of my favorite images. 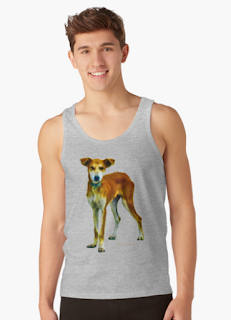 Now you can get prints of this adorable dog on multiple items of clothing and other media. Check it out at my Redbubble account. Prints are available on a wide variety of men's and women's clothing, as well as other media such as pillows, duvets, cell phone covers. Take this gorgeous pooch with you wherever you go.